Follow Vinnie’s and Reyan’s love story as she learns the true meaning of love, trust and family. 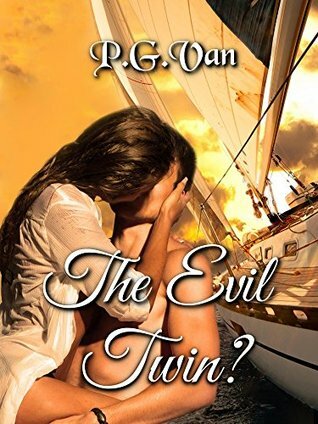 ‘The Evil Twin’ is out and out entertainment with twist and turns in every chapter, not to mention sizzling chemistry and steamy scenes between good looking protagonists. The story is pacy and fast with right amount of emotional connect. Vinitha Raj or Vinnie is a typical American who has seen it all and makes end meet by bar-tending. She sure knows her cocktails and how to handle any situation, and there is no time for men in her life. She has vowed never to leave her aunt and to make life smooth for her only relative and her beloved niece. The only problem was strangers mistook her for some other person. It seems she had a doppelganger in the same area. Vinnie’s world becomes a series of surprises when she helps car accident victim Reyan Bhatia. Strongly attracted to him she battles her feelings as well as the confusion as she meets Reyan’s relatives who react to her strangely. As the reality and truth unfolds she is engulfed into an uncontrollable tsunami which rips her life apart. As characters Vinnie and Reyan both are confident, attractive and cocky, complimenting each other, replete with motorbikes, limousines, leather jackets and fandoo cocktails. Reyan, like a dream hero, helps Vinnie deal with every complication going on in her life. Preethi’s characterization touched me the most. Neel, Annie and other friends are well-etched and compliment the duo throughout the story. The author has come up with a nice story, with many, and I mean many, hot and steamy scenes bordering on naughty erotica. End is a little bollywoodish with the hero and heroine rushing on a motorbike to the airport for a reconciliation with her mother. But that takes nothing away from the story. The language is simple yet fluent. Anyone who is looking for a pacy, hot contemporary romance, should definitely go for this one.